Sign up for free entry here. 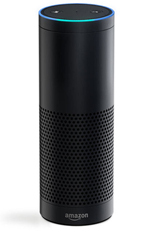 Have you heard that Aspen Media is giving away an Amazon Echo smart speaker on stand F30 at BVE? If you leave your business card it could be yours. A few words from you and Alexa, the voice of the Echo, will play music, answer questions, read audiobooks, report news, traffic and weather and lots more. Alexa won’t make the tea but she will tell you how to make it. It won’t just be Alexa that makes you smile, we’re presenting the latest gear from JLCooper, ARG and Tac System that we’re sure will be just your cup of tea, read about it below. 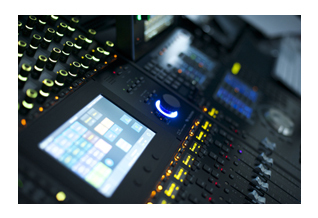 The latest low cost television production tools make live television or internet streaming a viable and affordable proposition for arts, performance, community and educational organisations but, as always, the last component to wear the “affordable” badge are the controllers. Enter Proton from JLCooper a compact, portable and most importantly, low cost switcher controller that interfaces directly with Blackmagic Design ATEM to give immediate access to the extensive selection of ATEM video switcher functions and effects while delivering fast live production switching. And it’s oh so much quicker and easier to use than a keyboard or mouse. See it on stand F30. JLCooper is also demonstrating SloMo Mini’s slomo control of the Atomos Shogun Studio recorder and AXOS surround panner for Pro Tools. To do this a secure and stable network is needed with all devices tightly and accurately synchronised. Precision Time Protocol or PTP is used to ensure the necessary sync accuracy; but to ensure the PTP timing data has the required priority, it is essential to employ PTP Smart technology. ARG has introduced the Quarra range of PTP Smart switches that guarantees PTP data receives the highest priority and maintains its accuracy, regardless of network load and structure; fulfilling this crucial requirement for resilient Audio-over-IP networks in broadcast, production and live applications. Never has the expression “no worries” seemed more appropriate. VMC-102 is a surround monitoring system for Dolby Atmos or MPEG-H immersive film, post and broadcast sound mixing in studios using Pro Tools, Pyramix or Avid systems. It’s a compact desktop unit with touchscreen control and Avid S6 users will be keen to know that there’s a version that slots directly into their desks. If you’d like a personal demonstration of any of the products we’re showing at BVE or need more information please contact us using the details below. We look forward to seeing you at Excel.